Heat the oil in a wide, high-sided sauté pan over high heat. Add the onions, and sauté until soft, stirring often for up to 10 minutes. Add the turmeric, and stir into the onions. 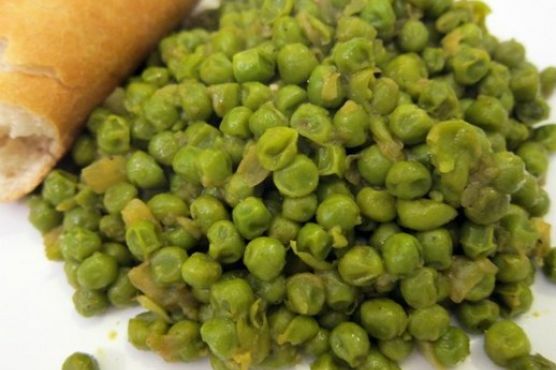 Add the peas, and season with salt. Cover with a lid and cook, stirring occasionally, on medium-high to high heat, for 40 minutes. Serve with warm, crusty baguette.